Is it difficult for you to get in or out of your favorite chair? 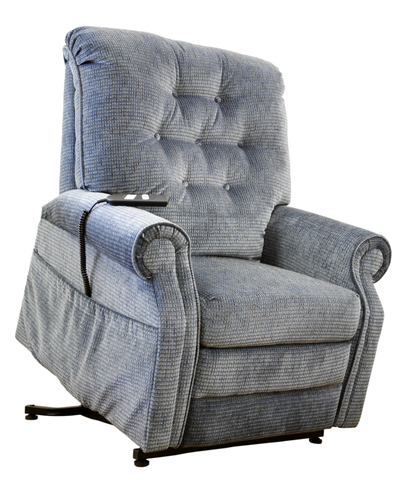 Lift chairs provide a mechanism to maintain your independence and mobility in your home. Pride® Lift chairs offer a state of the art lift system, patented quite and smooth operation, and stylish designs to add to any home decor. Our trained professional staff will deliver and set up your chair at no additional cost. Lift chairs are available for rent or purchase. Contact our staff to find out details of insurance billing and the percentage of Medicare coverage and requirements.